A smile is an asset. It breaks barriers, generates warmth, and adds compassion and glamour to one’s face. To many, the pain associated with being in the dentist’s chair is worth the confidence and poise imparted by a smile makeover. Furthermore, we have treatments to counteract wrong approaches in orthodontic treatments to restore facial symmetry. Cosmetic dentistry is the science/art of creating the smile you always dreamed of having. 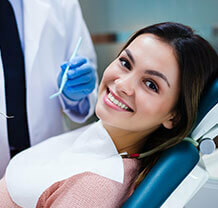 With breakthroughs in technology, a dentist can help you get the bright, beautiful and aesthetic smile of your dreams.